It's sunny and warm – so who wants to be shut inside all evening watching a film? Fortunately, there are some great alternatives in the open air. 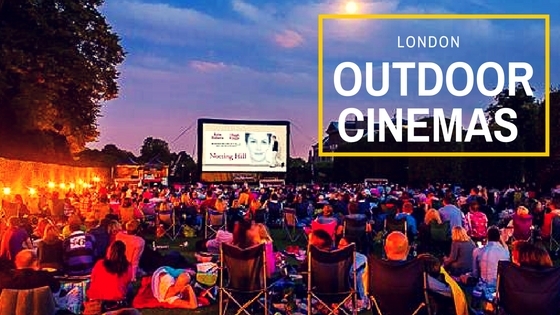 Check out the list of best spots for Outdoor Cinemas in London this Summer. Throughout London, there are numerous places where you can watch a film in the fresh air outdoors – and sometimes in quite unexpected places. Relaxing with a film within one of the royal parks has become a traditional part of summer in London – but how about a watching a film in Kensington Palace Gardens or in Kew Gardens? These are just two of the unusual venues used by Luna Cinema to show films like Shaun of the Dead and Four Weddings and a Funeral. To ensure that you will be able to make the most out of your visit, you should consider renting Regency House Hotel Gower Street. Somerset House Courtyard has to be one of the grandest possible settings in which to watch a film on a summer evening. Surrounded by the architectural grandeur of this stunning building, you can sit back and relax with themed music provided by a DJ until the film starts at around 9pm. Bring a picnic or buy some food from the various stalls around the courtyard. Bringing a cushion or two is recommended – the cobbles can be a little hard! 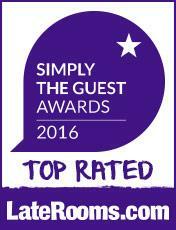 Also recommended is the need to pre-book, as this venue is extremely popular. Another venue where you may find your attention drifting a little to the imposing sights around you is The Scoop amphitheatre at London Bridge City. After all – you do have the distraction of the River Thames meandering past and stunning views of Tower Bridge and the Tower of London! You don’t even have to pay to watch a film here, as all the films are free. So sit back and relax with titles such as The Greatest Showman and Guardian of the Galaxy. Perhaps you prefer enjoying some rooftop breezes while you watch? Then you can book a stay at one of the best hotels in Covent Garden London and head for the Rooftop Cinema Club, which operates from venues in Shoreditch, Peckham, Stratford and Tobacco Dock five nights a week. You can be forgiven if your attention slips at times, as you are able to enjoy 360 degree views around the city, as well as the film! And if the night gets a little cool later in the summer, there are comfy seats and blankets available. Other rooftop venues include the Fest Camden Roof Gardens and Lost Format Cinema down in Croydon. If you are travelling to London, make sure to plan your trip to avoid wasting time standing in a queue.